Microsoft recently announced that it has partnered with Cloud.com to provide integration and support of Windows Server 2008 R2 Hyper-V to the OpenStack project, an open source cloud computing platform. The addition of Windows Server 2008 R2 Hyper-V provides organizations and service providers running a mix of Microsoft and non-Microsoft infrastructure with greater flexibility when using OpenStack. As part of the collaboration, Microsoft will provide architectural and technical guidance to Cloud.com. Cloud.com in turn will develop the code to support OpenStack on Windows Server 2008 R2 Hyper-V.
Once complete, the project code will be checked into the public code repository at http://openstack.org. The addition of Microsoft’s virtualization product puts customers in an excellent position to reach economies of scale to run Windows- and Linux-based infrastructure. Windows Server 2008 R2 Hyper-V can efficiently run multiple different operating systems in parallel. “We’re extremely pleased to welcome Microsoft to the OpenStack community. Its contributions to the open cloud platform will expand the opportunities for customers, vendors and channel partners,” said Jim Curry, general manager of OpenStack and Chief Stacker. 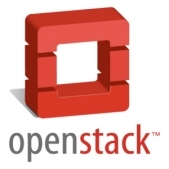 OpenStack was launched with code contributions from Rackspace US Inc. and the NASA Nebula cloud platform. Today, OpenStack is supported by 35 software and hardware providers from across the IT industry.